Like the LP570-4 Superleggera before it, the Lamborghini Huracan LP640-4 Performante is the most track focused lightened road-going version of Lamborghini’s already scintillating V10 masterpiece. 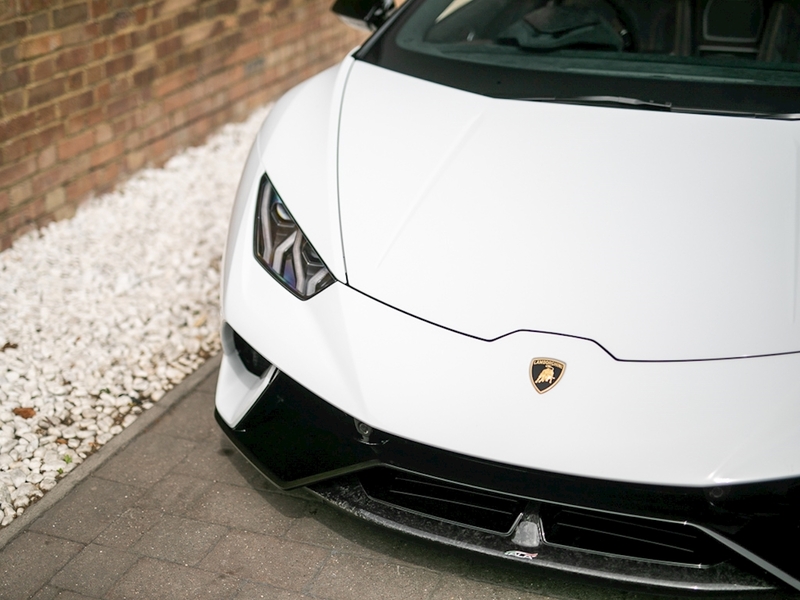 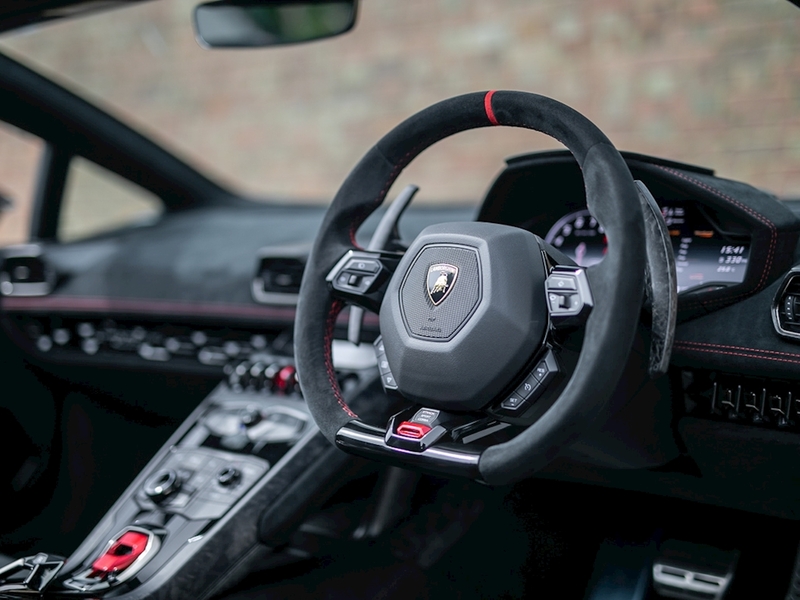 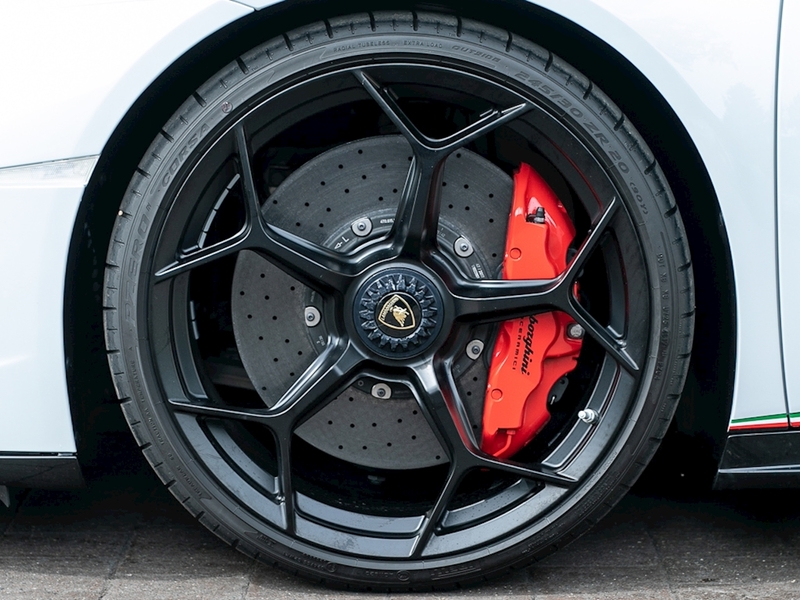 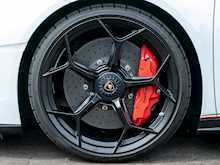 The success of the Performante coupe captured the automotive world’s attention by setting a Nurburgring production car lap record and beating its more powerful bigger brother, the Aventador LP750-4 Superveloce. 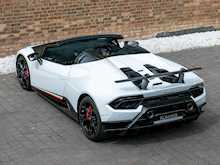 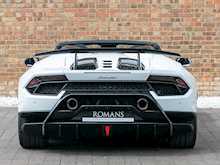 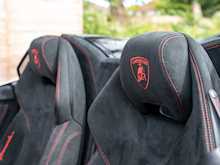 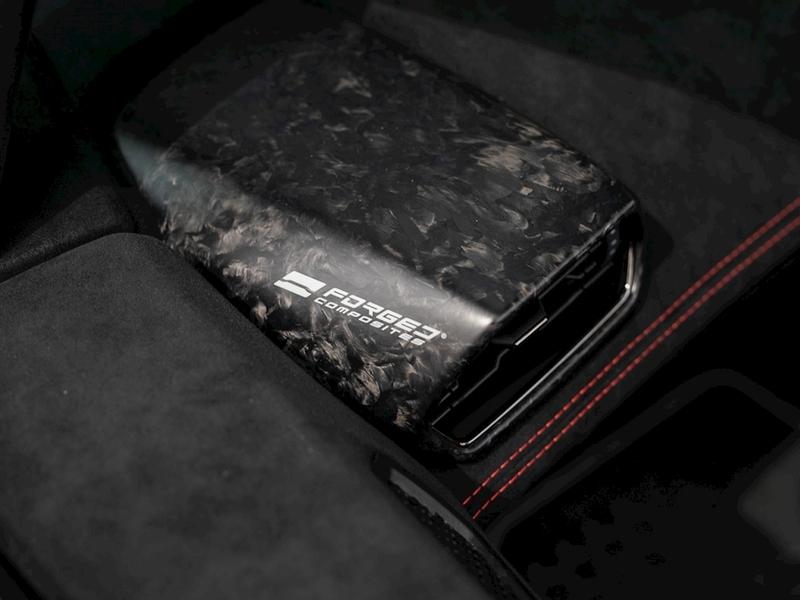 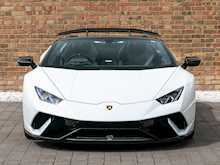 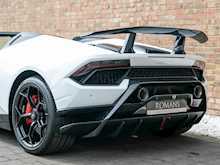 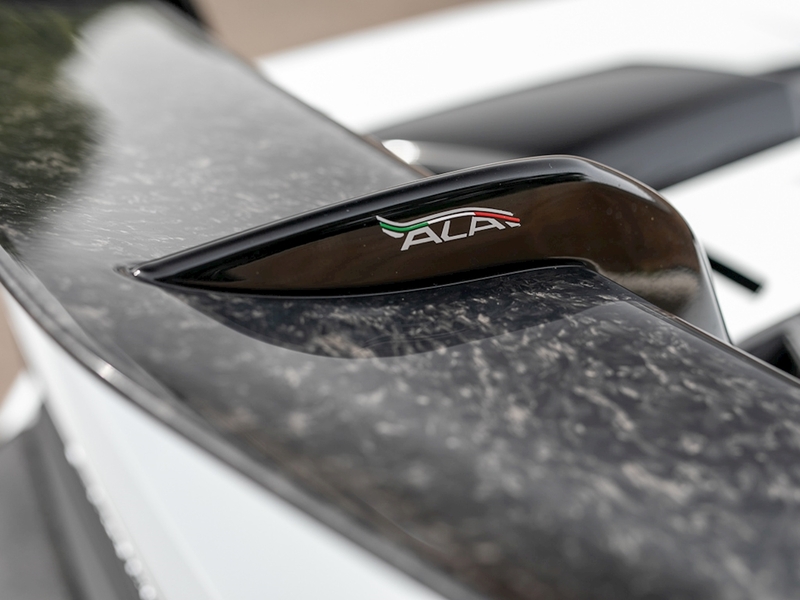 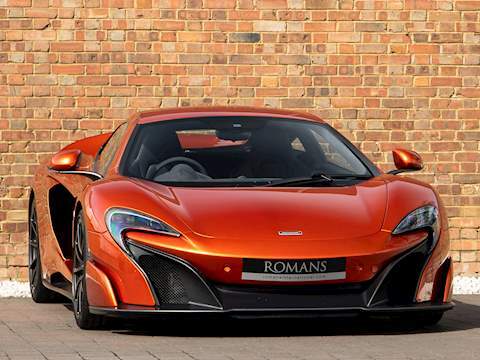 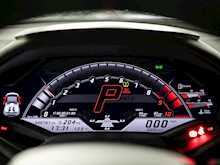 Thus, it was only a matter of time before a convertible version of the Performante was unveiled at the Geneva Motorshow in March 2018. 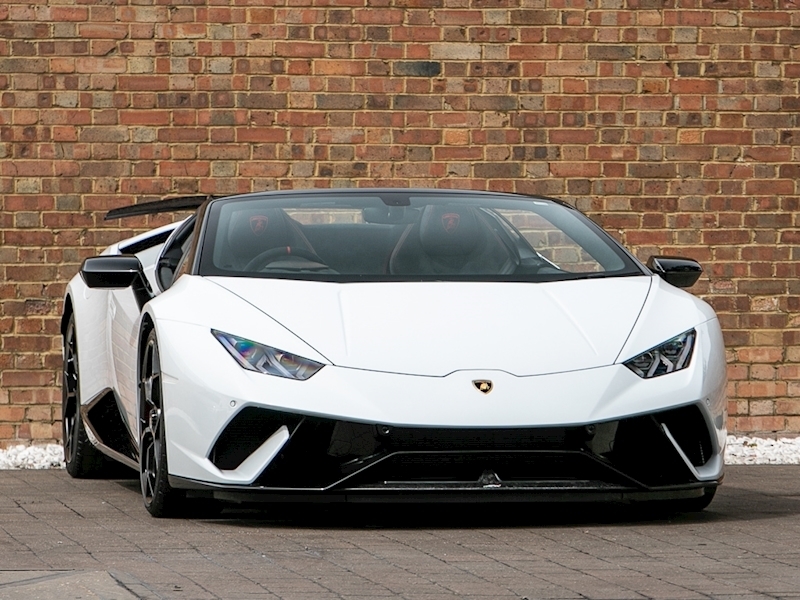 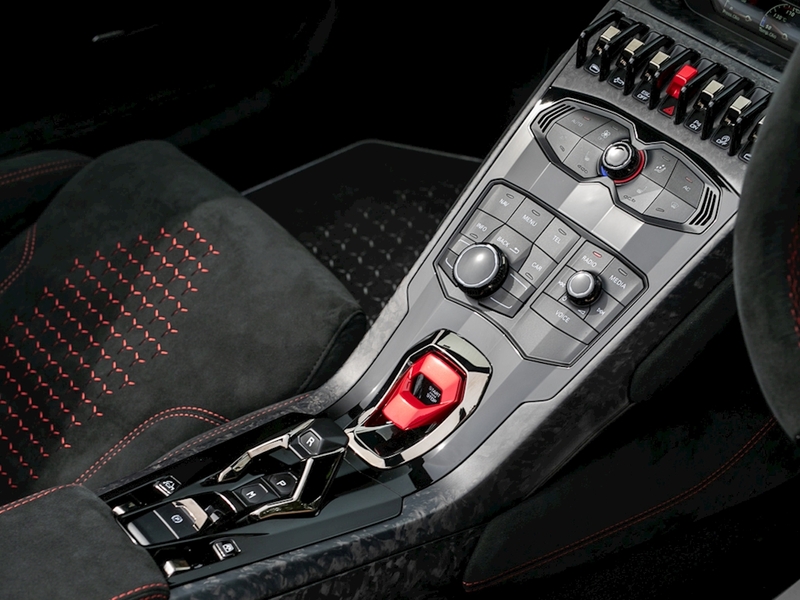 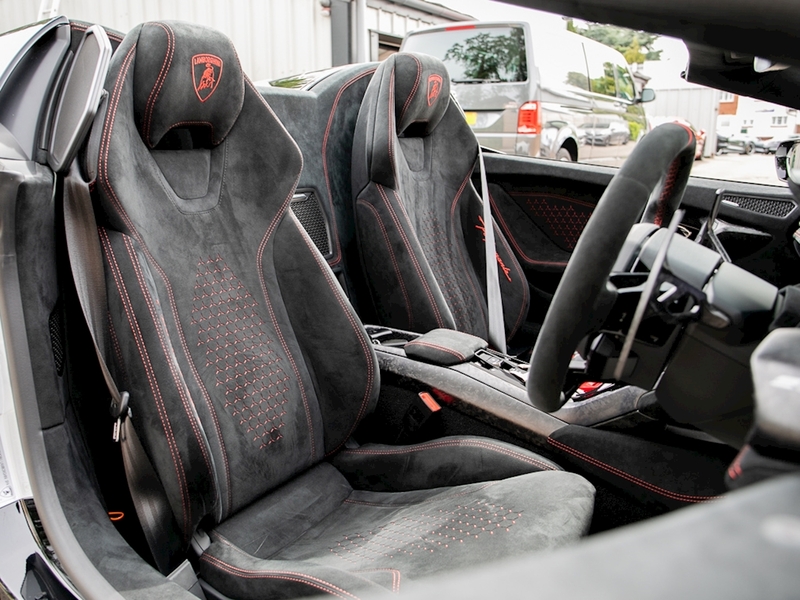 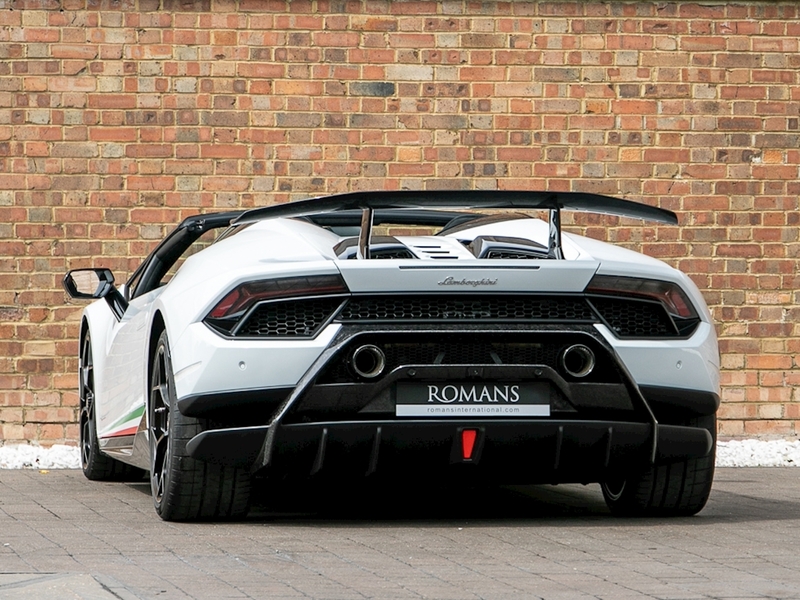 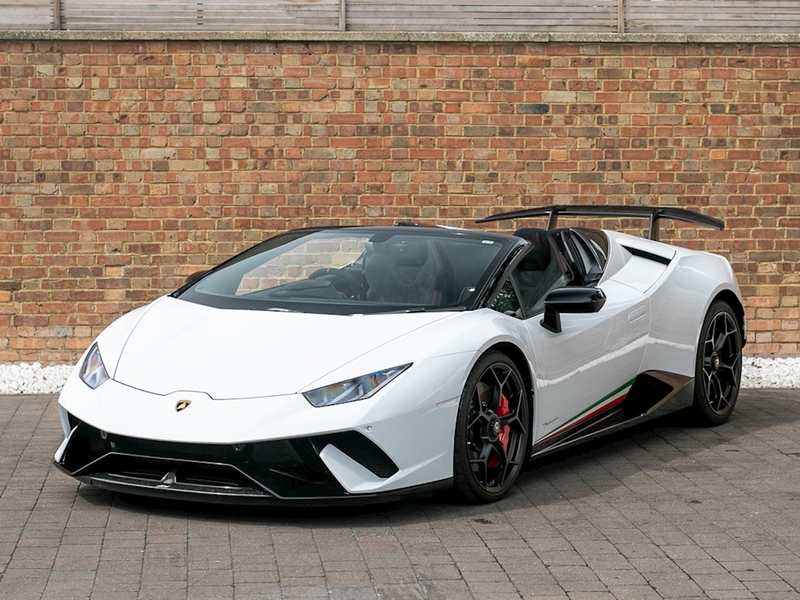 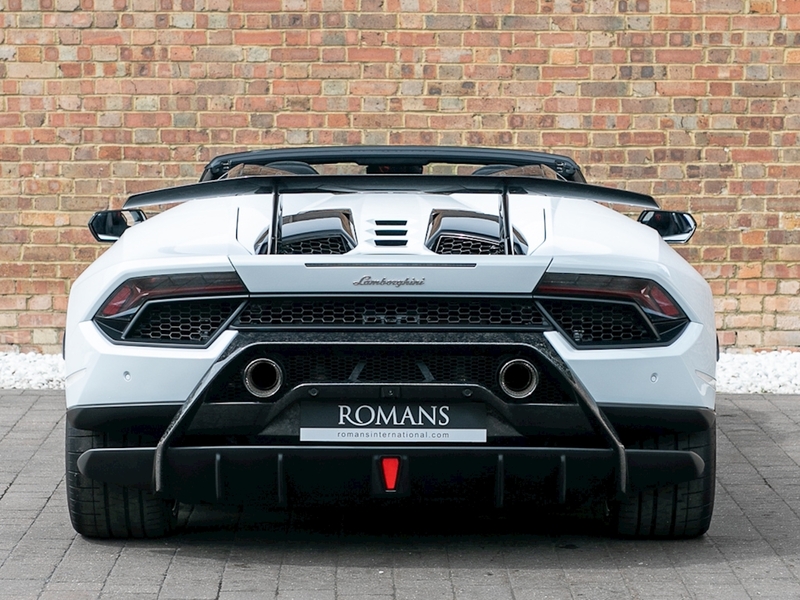 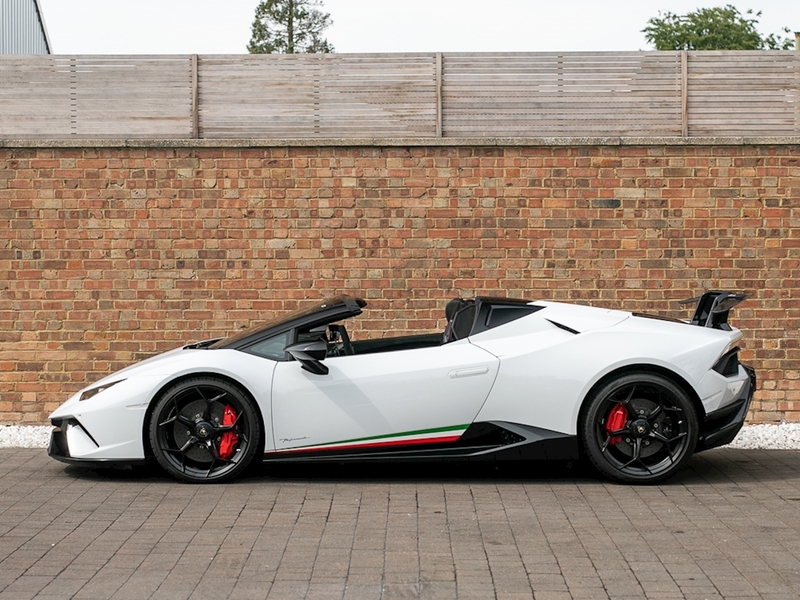 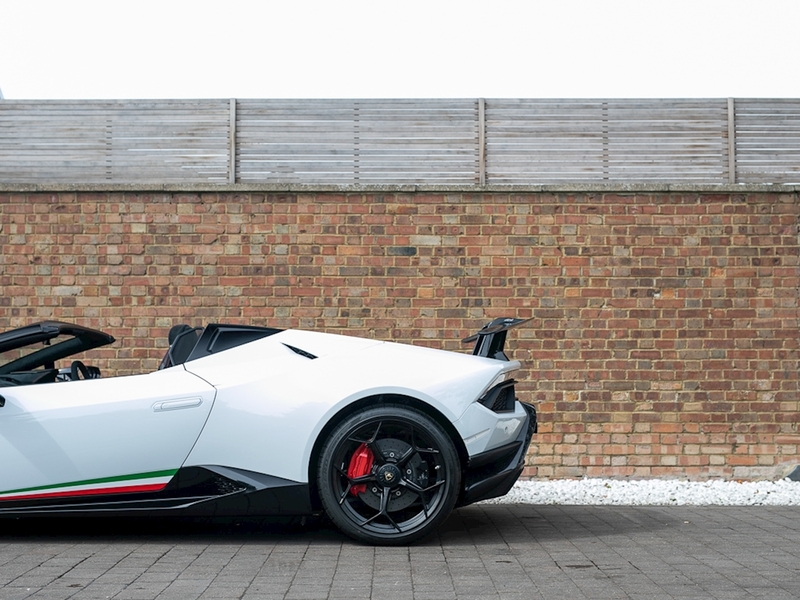 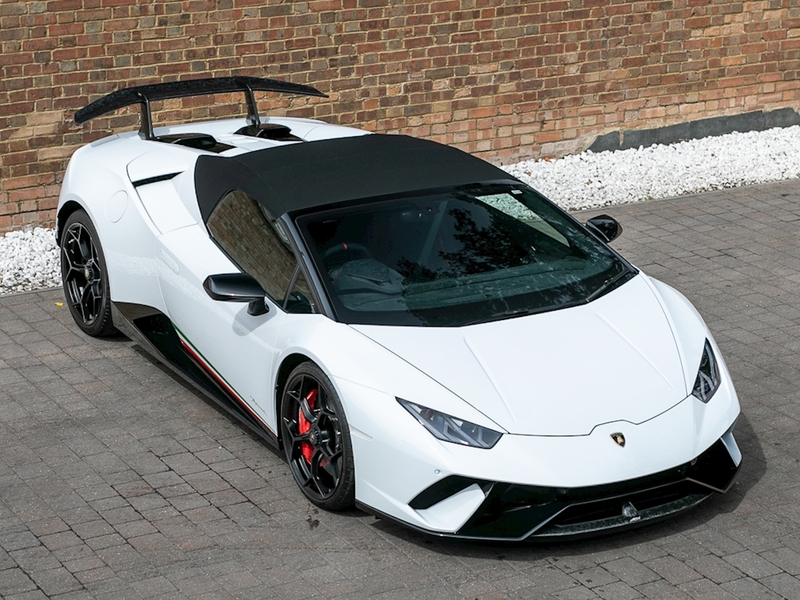 A 35kg weight saving and power up to 631bhp, combined with far more aggressive styling and carbon composite parts give the Performante Spyder rarely surpassed presence and drama. 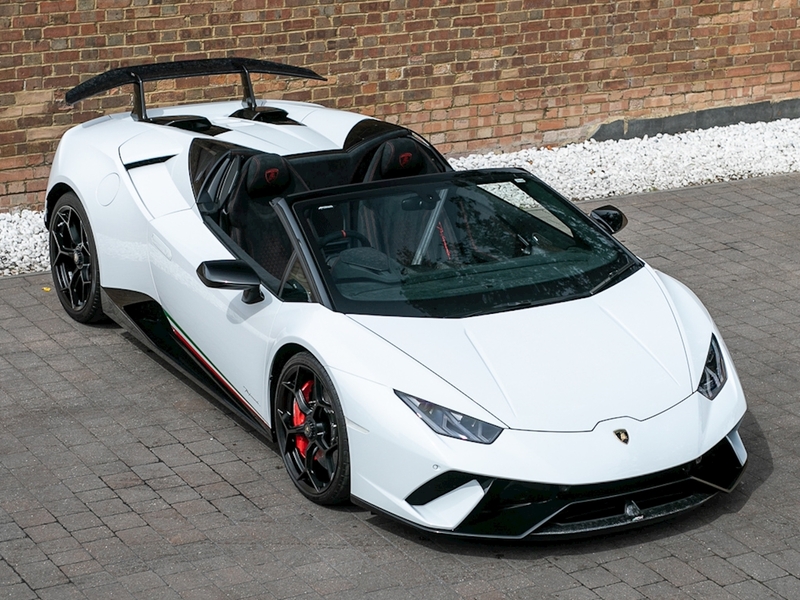 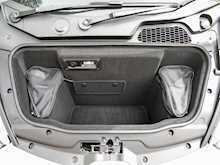 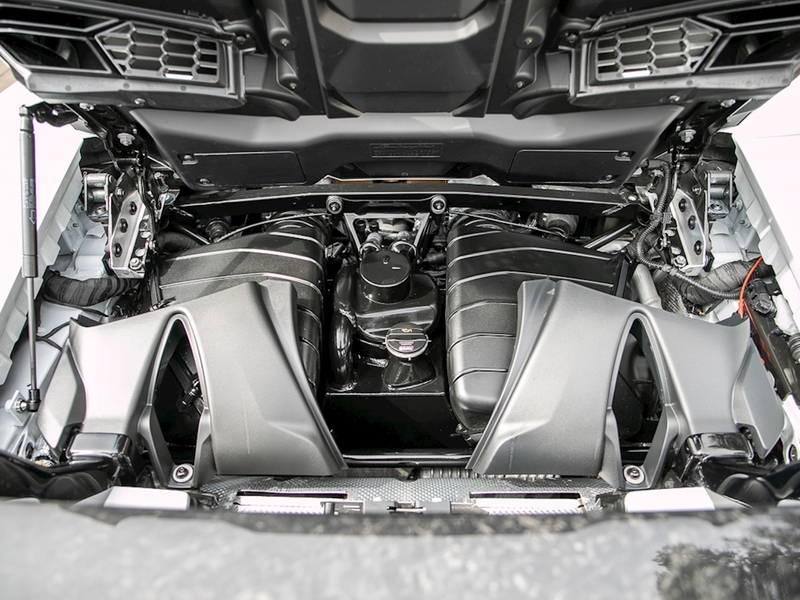 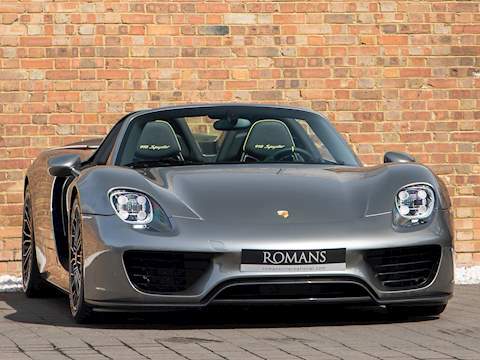 The convertible roof on the spyder lowers neatly at speeds of up to 31mph and adds a greater sense of speed, occasion and connection with that howling V10. 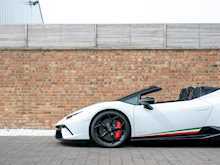 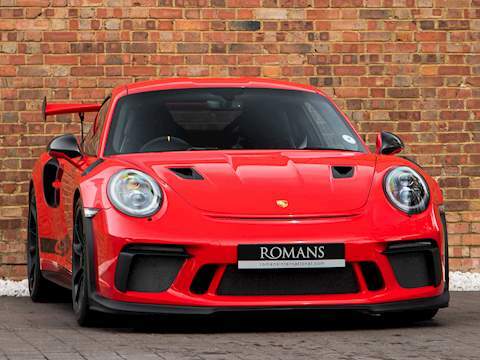 Revving out to 9000rpm in this car with the roof down is nothing short of awe inspiringly addictive and when in ‘Sport’ or ‘Corsa’ mode, this certainly is a car where you will hear it well before you see it.